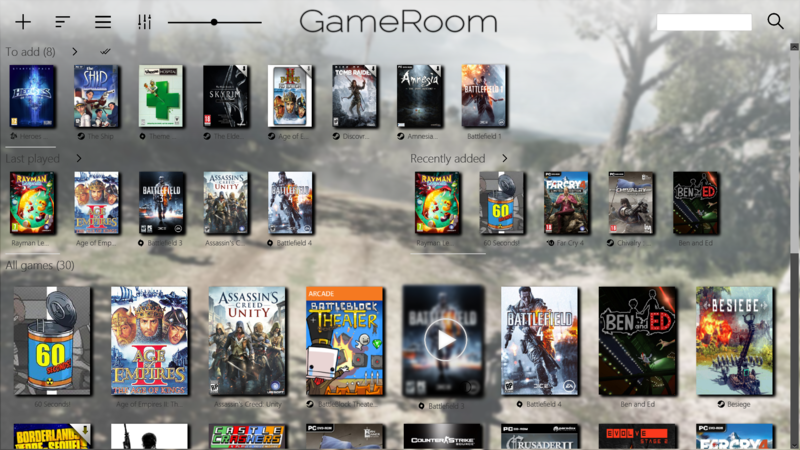 GameRoom is a software to display your whole games library, easily and in a elegant way. It is developed to put your games to the foreground, but also improve your gaming experience, where other software acts just as launchers. 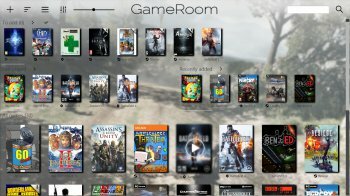 GameRoom works with majors video game digital distributors : Steam, Origin, UPlay, GOG, Battle.net, and more.